As a professional freelancer, you’re providing a service and should be compensated accordingly. After all, your freelance writing business is first and foremost just that; a business. This brings us to an ever-important question. 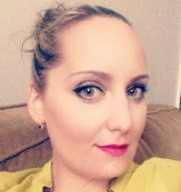 How do you get paid as a freelance writer? There are a lot of factors at play here, but there’s one thing we know for sure. If you want your freelance business to succeed, you’ll need to take a business-savvy approach to your finances. Let’s take a look at how you can make sure you get paid for your freelance work, every time. Whether you use in-app features or separate software, invoicing is a considerable part of your business and is your responsibility as a contractor. As a good rule of thumb, you should invoice the client upon completion and note the requested payment date for your records. Invoicing frequently will also help cut down on any “forgotten” projects, which can be a concern for a busy freelancer. As the sole proprietor of your business, you should be organized and responsible. You should always do your best to understand your clients’ payment methods and schedules. For example, some clients may prefer to settle invoices monthly while others will opt for paying outstanding invoices as they arrive. Keep clear and organized records of outstanding balances, payment due dates and other pertinent billing information. As a business owner, you are responsible for staying on top of your finances. After all, how can you expect a client to remain on a timely payment schedule if you, yourself, are unaware of what’s due and when? With the boom of technology and digital banking (Bitcoin anyone? ), the types of payment methods available to a freelancer are almost innumerable. Back in the day, if you wanted to accept credit cards as a payment method, you had to purchase pricey processing equipment. Lucky for you, these days all you need is an app. The following popular processing apps are favorites among freelancers and allow you to accept payment via credit card in a snap. The downside of using credit card processing companies is the inevitable issue of upcharges and fees. Most companies charge a fee, and their rates vary from a monthly fee to a percentage of the total paid (or both). You’ll need to do some digging to find which works best for you. Among the available options, I prefer PayPal. The great thing about PayPal is that it’s widely accepted as a preferred payment method. Setting up an account is super easy and once you’ve logged in, sending invoices is a breeze. On top of the ease of payment and sleek invoicing, PayPal also allows you to generate reports ranging from outstanding invoices to profit and spending reviews. Electronic Fund Transfers, otherwise known as EFTs, are among the quickest ways to get paid. Essentially an EFT is where payments are transferred from one bank account to another, without the use of a middleman such as a processing company. Using EFTs saves you the extra step of moving money from your PayPal account (or insert processing company of your choosing) to your primary bank account. Some people just prefer it old-school. While a bit more uncommon these days, physical payments have their upsides. One of the biggest perks is that with physical checks is that you’re not going to get hit with any charges or fees to accept and deposit payments. However, with the savings of avoiding extra charges, checks present other issues, mainly with how much time is concerned. With checks, you’ll have to wait to have them written, mailed, delivered, and lastly, cleared at the bank. The best way to solve any payment problems is to avoid them in the first place. Take these simple steps before beginning any new client relationship, and it’s unlikely you’ll run into payment issues down the line. Before agreeing to a gig and beginning work, perform a little due diligence on your would-be-client. Thankfully, Contena makes this step an easy one. Clients on Contena are thoroughly vetted before being listed, thus taking a great deal of uncertainty out of starting any professional relationship. If you do choose to go a step further, a quick social media search should give you some deeper insight into the client, their needs, and style choices. Thanks to the social media age, getting to know a “virtual stranger” is easier than ever. Even the smallest of start-ups will likely have some sort of social media presence. You can also use LinkedIn, Facebook, or Twitter to search your client’s name, which can offer you other valuable insights as well. Once you’re comfortable settling down with a client, the most important thing you can do is to draw up a contract. Contracts not only help flesh out important details but they protect you as a freelancer. Before you go calling a lawyer, read this: Contracts don’t HAVE to be long, complicated documents. In this case, it can be as simple as an email that outlines terms or a template downloaded from any number of sources on the web. The key takeaway should be to have terms, in writing, agreed to on both ends is vital to ensuring that you get paid. There are a few clauses that every freelancers’ contract should include, no matter the format you use. Rate- Are you charging per word or by the hour? Is the project a flat-fee price? Scope- Outlines the project and what it will entail. Being very clear on this term will help avoid being stuck with extra work on your end that the client may not end up paying for. Payment Type- Do you accept PayPal, bank transfers, or physical checks? Payment Schedule- Is payment required up front? By a certain date, upon completion, or submission? Be specific! Deadlines- When and how should the final draft be delivered. Does the client have access to view first drafts? Other Fees- Do you charge a “rush fee” for a quick turnaround? Do you have a “kill fee” in place to cover any work done on a project that may be canceled? Rewrites/Revisions- How many rounds of revisions or rewrites will your rate cover? How much will additional rounds cost? Rights- It’s common for freelancers to retain copyrights to work until final payment is made. While not a wholly-comprehensive list, the above terms should give you a good headstart to protecting yourself and your work. The contract you create, and use will ultimately depend on individualized circumstances. It’s not at all unheard of for freelancers to ask for up-front payments or deposits, especially for larger and more time-consuming projects. A useful guide for a deposit would be 30% of the total project price. Although very uncommon among Contena clients, if you find yourself with a client flaking on the bill, it can undoubtedly be unsettling. What’s a freelancer to do when you haven’t gotten paid? Check out these next steps you can take to recoup your hard earned money. Sometimes it may not be the case that the client is deliberately stingy but rather a forgetful one. While not a great sign to be forgotten, a quick reminder may be all that’s needed to get your client to pay up. Start with a short and quick email to send a reminder that payment is due or outstanding. Some invoicing programs, such as PayPal, make this as simple as a click of a mouse. I would suggest going a step further and also send a personalized email. It may just be me, but putting a “voice” to an invoice may be the extra reminder your client needs to pull out the ole’ checkbook, so-to-speak. The majority of freelancing is done online. Aside from the occasional Skype-call, freelancers are often communicating via email or through online editorial platforms. In the world of freelancing, it seems phone calls are reserved for initial interviews or matters of urgent importance. In this case, I would consider non-payments as a “matter of urgent importance” to a freelancer and thus, entirely warrants a phone call. If your client is accustomed to strictly online correspondence, a phone call might be the personal touch they needed to pay up. Issuing a late payment fee is another excellent way to incentivize clients to settle up their tab when it’s due. Chances are, the client will want to avoid further charges and will address the invoice ASAP. Note: To enact a late-payment fee, you will most likely need have this as a stipulation in your contract. While you make attempts to follow up, go higher in the organization, or charge late payment fees you should also immediately stop any further work. As the saying goes, when you’re in “the hole,” stop digging. When you work, you deserve to be paid for said work, plain and simple. Being your own boss means being your own protector as well. Your business’s success depends on your ability to conduct business efficiently, so plan accordingly. Put safeguards in place to protect yourself, follow appropriate steps, escalate when needed, and you should find yourself (and your business) in good financial shape. 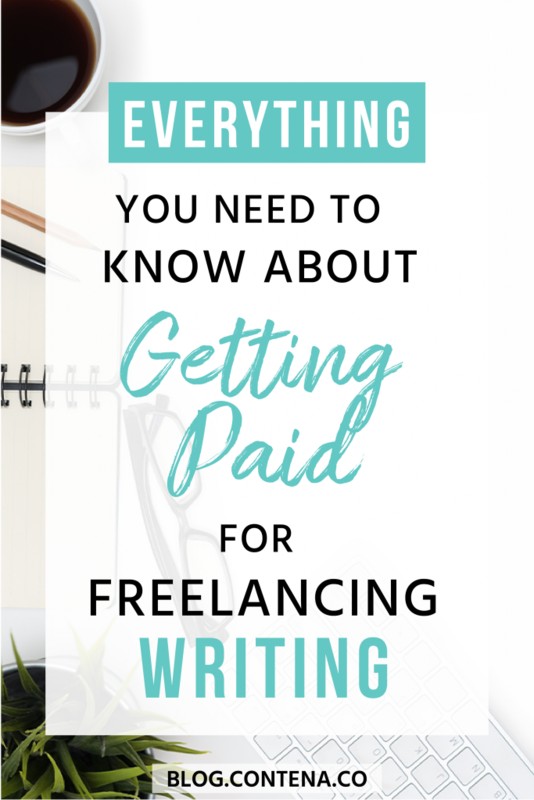 P.S.- If you’re getting paid and curious about how you can make more as a freelancer check out this post.